I had a few comments on my paper frill on THIS card. So I thought I would post a few pics to show how I did it. Just take a piece of paper and punch a border down one side. Now you need to make it more pliable, I put it through a paper crimper a few times and screwed it up in a ball. 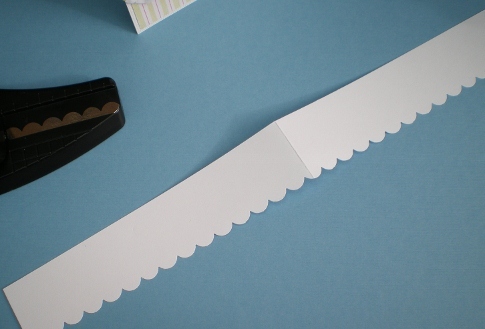 Apply a strip of double sided tape where you would like to apply the frill. 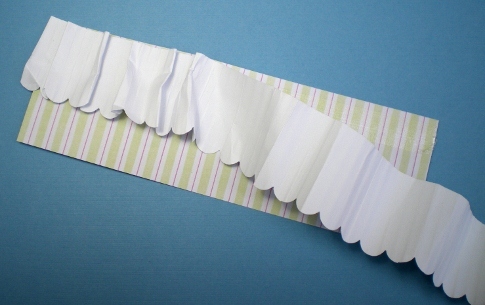 Then arrange the border in pleats as you stick it down. I've found the trick is not to be too neat with your pleats then it has more of a 'fabric' look about it. I'm entering my card in the 'Heartfelt' challenge over at Let's Craft and Create, you can just make out the tiny hearts on the patterned paper! That's what I like about the Let's Craft and Create challenges, there's not loads of rules to follow and you get 2 weeks to enter. I couldn't post this card before because I was waiting until I sent it off to the lovely Lisa from Tigerlily Makes. I've just booked a Felt Making Course - I can't wait 'til April! 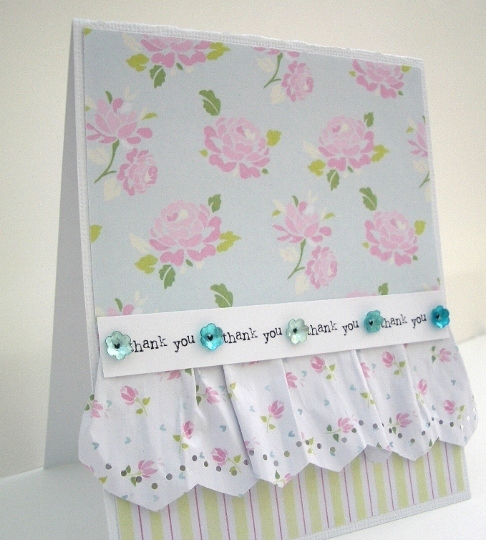 What a pretty card - thanks for showing us how to make the frill! Love how you made the frill Vicky, thank you for sharing. Your card is very elegant and I am so hooked on these papers at the moment, aren't they gorgeous! I love your paper frills.